Our greenhouses are great for orchids! Building orchid greenhouses is how our business was started. The original owner, Harold Fleck, grew and sold orchids and had many local customers. As serious orchid growers know, your plants can eventually take over your house, so Mr. Fleck began building orchid greenhouses for customers. 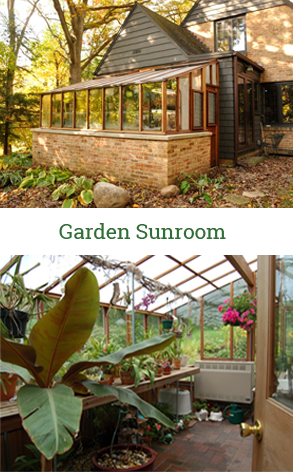 Eventually he turned his complete business to building greenhouses. 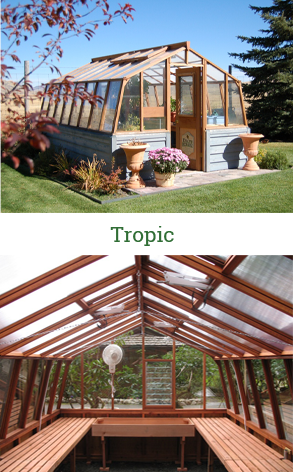 ♦ As orchids require warm temperatures and a greenhouse frame is made with wood, the environment is naturally warmer and more heat efficient than aluminum. No ice will accumulate on the inside framing with the appropriate outfitting. 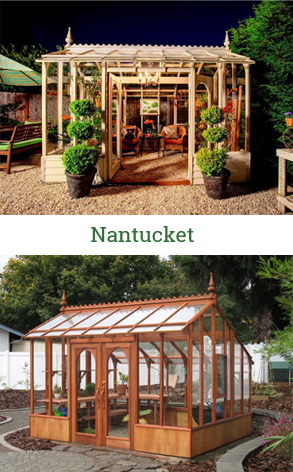 ♦ Our Clear All Heart redwood greenhouses are rot resistant and able to withstand the humid conditions in an ideal orchid greenhouse. ♦ Glass is our standard glazing but we also have energy efficient twin wall poly-carbonate to add light diffusion to protect your orchids from sunburn. 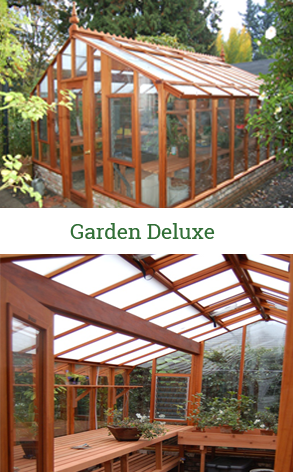 Twin wall poly-carbonate as the outside greenhouse glazing and twin wall polypropylene for our exclusive interior Thermal Option creates one of the most energy efficient glazing systems available in a greenhouse. 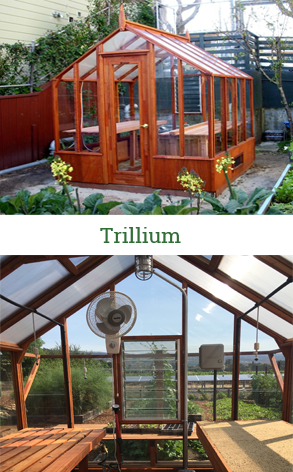 ♦ Our wood greenhouse frame allows for easy addition of accessories such as shelves, hooks, hanging bars and light fixtures. 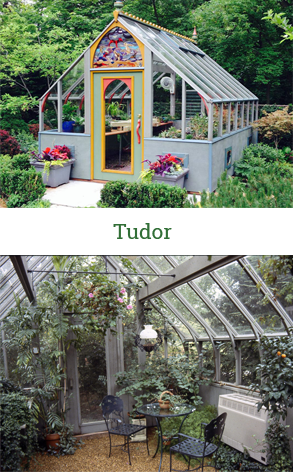 ♦ Several of our greenhouse models can be made taller to accommodate hanging orchids (see the Tudor & Garden Deluxe models). ♦ Interior partition walls can be added to your orchid greenhouse to accommodate different growing conditions, such as warm weather and cool weather orchids. 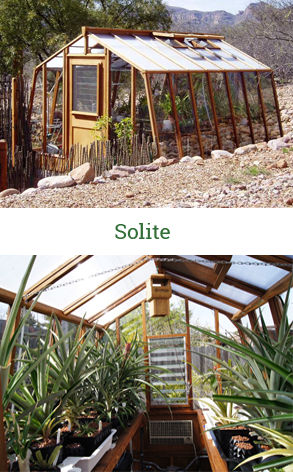 ♦ Our orchid greenhouses are not pre-made and “off-the-shelf”. 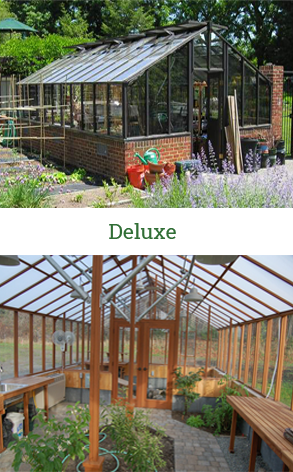 We will use our years of experience to individually create the perfect greenhouse for your orchids.